We are the leader of Round Railing, Steel Gate with Automatic Remote Control, such as Metal Steel Gate, Stainless Steel Gate (by Grade 301, 304), Wrought Iron Steel Gate, Shutter Gate, Folding Gate, Spring Hinge Gate, Accordion Gate, Re-colour Steel Gate, Roofing, Railing, Handrail, Round Railing, Library Ladder, Downspout, Curved Window Metal Steel, Mosquito Window Screen, Glass-Aluminum, Alloy Steel Furniture, Design Lamping, Design Chandelier, Designed Bed, Ladder Steel, Made-To- Order Furniture etc. The One Stop Service or Design, Produce Round Railing, Gate, and Gate with Automatic Remote Control. Re-color Steel Gate. Addition, We have fixing service, maintenance service, repairing service, and provided service by professional team, giving consult service. All product made from high quality material, had certificated, valuable, durable. All Materials have variety model follow as your demand, such as Metal Steel, Stainless Steel (By Grade No.301, No.304), Wrought Iron Steel, Brass Steel. We have entire of model gate in Metal Steel Gate, Stainless Steel Gate, Alloy Steel Gate, Brass Steel Gate, Wrought Iron Steel Gate : Shutter Gate : (Metal Steel Shutter, Stainless Steel Shutter, Transparency Shutter, Shutter with Automatic Remote Control System), Folding Gate : (Metal Steel Folding Gate, Stainless Steel Folding Gate) Spring Hinge Gate : (Metal Steel Spring Hinge Gate, Stainless Steel Spring Hinge Gate, Wrought Iron Steel Spring Hinge Gate, Alloy Steel Spring Hinge Gate), Stainless Steel Gate with Shera Wood, Metal Steel Gate with Shera Wood , Wrought Iron Steel Gate with Shera Wood, Roofing, Fencing, Railing, Handrail, Stainless Steel with Shera Wood Railing, Metal Steel with Shera Wood Railing, Wrought Iron Steel with Shera Wood Railing, Winder Staircase, Round Railing, Railing with Shera Wood, Fencing with Shera Wood, Round Railing with Shera Wood, Round Railing with Shera Wood, such as Metal Steel Handrail with Shera Wood, Stainless Steel Handrail with Shera Wood, Winder Staircase Fencing, Wrought Steel Handrail with Shera Wood, Fencing, Metal Steel Fencing, Wrought Iron Steel Fencing, Alloy Steel Fencing, Stainless Steel Fencing, Metal Steel Winder Staircase Fencing, Stainless Steel Winder Staircase Fencing, Downspout, Metal Steel Curved Window with Mosquito Window Screen, Aluminum with Glass, Alloy Steel Furniture, and Made-to-Order service etc. Stainless Steel Coating Service, Bed (Metal Steel Bed, Stainless Steel Bed, Wrought Iron Steel Bed, Alloy Steel Bed, Brass Steel Bed), Design Shelf, Metal Steel Stock Shelf, Bookshelf stand, Stainless Steel Stock Shelf, Flower Arbour, Flower Arch, Wall Shelf, Standing, Wheel Barrow : Metal Steel Wheel Barrow, Stainless Steel Wheel Barrow, Wrought Iron Steel Wheel Barrow, Stainless Steel Cabinet, Shelf, Stainless Steel Chandelier, Wrought Steel Chandelier, Swing, Design Ladder (Sliding Library Ladder, Sliding Factory Ladder, Swimming Ladder, Stainless Steel Trolley, Metal Steel Manhole Sieve, Dain Sieve etc. About services have Stainless Steel Turning, Cutting, Rolling, Molding, Collapsing, Pole Coating, Plating etc. 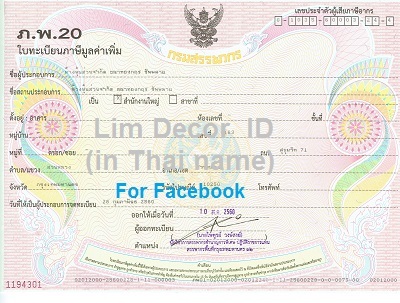 Lim Decor is entire answers for your demand in one tope service. All types of DIY Steel Staircase, Winder Staircase, Circle Staircase : Stainless Steel Staircase, Wrought Iron Steel Staircase, Alloy Steel Staircase, Metal Steel Staircase, Stainless Steel Circle Staircase, Wrought Iron Steel Circle Staircase, Metal Steel Circle Staircase, Alloy Steel Circle Staircase, Metal Steel Winder Staircase, Alloy Steel Winder Staircase, Stainless Steel Winder Staircase, Wrought Iron Steel Winder Staircase etc. Entire of All Steel of Round Railing - Metal Steel Round Railing, Wrought Iron Steel Round Railing, Stainless Steel Round Railing, Alloy Steel Round Railing, Metal Steel Handrail, Stainless Steel Handrail, Wrought Iron Steel Handrail, Alloy Wrought Iron Steel , Brass Steel Handrail, Metal Steel Circle Staircase, Stainless Steel Circle Staircase, Wrought Iron Steel Round Railing, Alloy Steel Round Railing, Brass Steel Round Railing, Metal Steel Cover Wood Railing, Stainless Steel Cover Wood Railing, Wrought Iron Steel Cover Wood Railing, Alloy Steel Cover Wood Railing, Brass Steel Cover Wood Railing etc. All type of Made by Order Steel Clotheshorse : Metal Steel Clotheshorse, Alloy Steel Clotheshorse, Stainless Steel Clotheshorse, Wrought Steel Clotheshorse, Brass Steel Clotheshorse etc. "บันไดวนราคาเดียว Round Railing One Price"